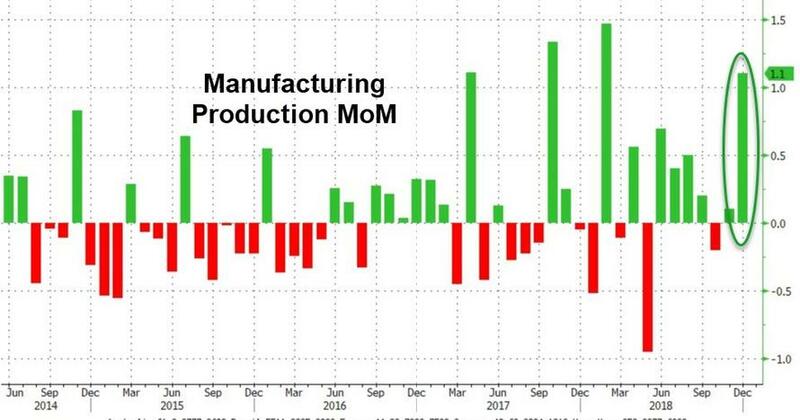 In fact, U.S. factory production expanded in December by the most in 10 months, ending the year stronger than expected thanks to a surge in motor-vehicle output and gains across a range of other goods. 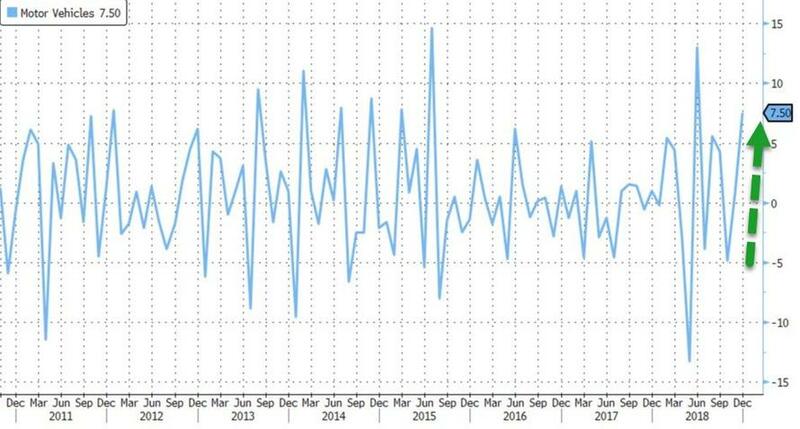 Production of motor vehicles increased 7.5 percent, the most since June, and other sectors with solid gains included petroleum and coal products, nonmetallic mineral products and computers and electronics. Industries with declines included machinery, textile and product mills and paper. With the mass layoffs and plant closure that have hit since, we suspect this will not continue. Utility output fell 6.3 percent, as warmer-than-usual temperatures reduced demand for heating. 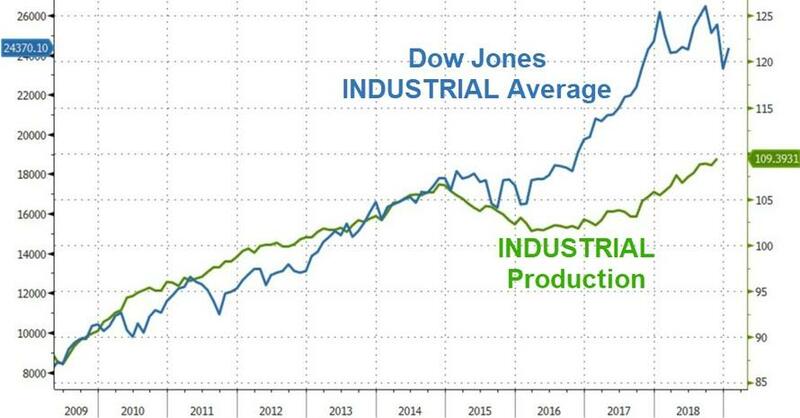 And finally, the question is - will IP catch UP to the The Dow or The Dow catch down to IP?